CHW20101 Fire/Water Chest is rated 4.5 out of 5 by 38. 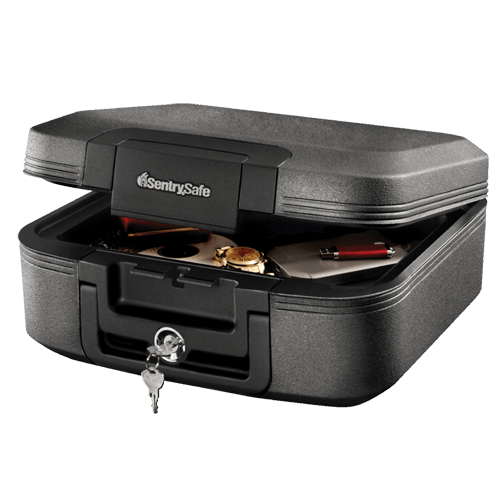 The Privacy Lock Chest CFW20101 is ideal for important documents, certificates, passports and photos. ETL Verified water protection and UL Classified fire protection provide peace-of-mind for irreplaceable items. This versatile chest is also equipped with a carrying handle to meet all your security needs. Rated 5 out of 5 by thehalls from Just what we needed! Our old safe was on its last leg and we needed something new. 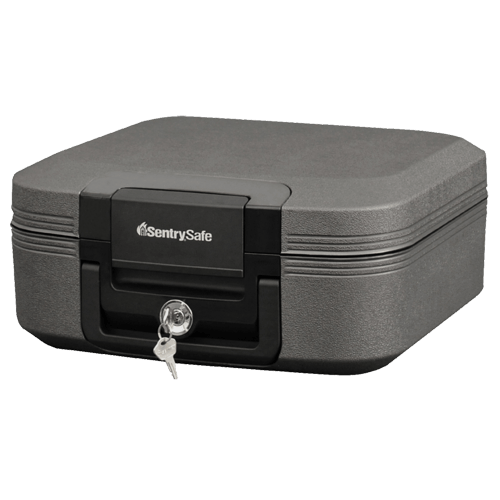 After looking around and considering a number of different safes, we decided on this one. It was a perfect choice! Meets our needs, easy to carry, and does not take up a lot of room in our small condo. Rated 5 out of 5 by DaveInk from Larger than I thought. The Safe was larger than I thought, I was debating the chest size verses the file cabinet size. I was impressed by how much it would hold. The Registration took longer because I wasn't sure if I had the correct serial number. The Sticker inside just shows "NO.". The Sticker should state Serial Number, I double checker the inside and outside several times to make sure I had the correct number. See attached photo. "NO." should read "Serial Number". Rated 4 out of 5 by Deacongy from Fire Safety Too many stories where a house fire steals a life time of memories. 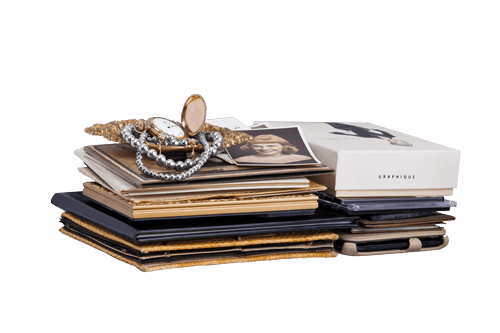 It is important to protect your hard drives of a life time of pictures, and important documents. I am not too happy with the condensation build up, so I have to open the safes for a few hours every week or so to allow them to vent. Other than that, these safes play an important part in the safety in your home. Rated 4 out of 5 by Fred62 from Works as advertised. I wanted a safe for wills and a backup drive. It will work fine. The letter sized wills fit on their own but with the folder they came in, don’t lie flat. Solution is to remove the folder. Not worried about locking it just making sure it is closed and does the job if there is a fire. Rated 4 out of 5 by RLU1 from Strong and heavy Fire/Water Chest Bought this Fire/Water chest to replace a lesser quality lockbox. Am pleased thus far. It is fairly heavy so be prepared for that. Wish is was just a tab bit deeper. Looked at the larger version which was just too big. All in all it was a good purchase and I am pleased. Rated 4 out of 5 by Patricia Baker from Fire/water Chest It's a convenient size to handle and store and is adequate for my purposes, but if I had any bulkier items I would need something larger and then weight would become a problem. I like the fact that it gives protection for both fire and water. Rated 5 out of 5 by Molobecky from So far so good! So far, the safe seems to be great! I guess if I have a fire, I’ll see how it really is. Hopefully, I’ll never have to find out.